HBA were appointed to provide landscape consultancy for Holy Trinity Church in Coleman’s Hatch, East Sussex. A landscape masterplan was developed with the parish to improve the user experience of the church and grounds for the existing congregation as well as attracting new visitors from the wider community. The churchyard is located in the High Weald AONB on the edge of the Ashdown Forest and provided particular challenges given its setting alongside Ancient Woodland and Grade II Listed Building. 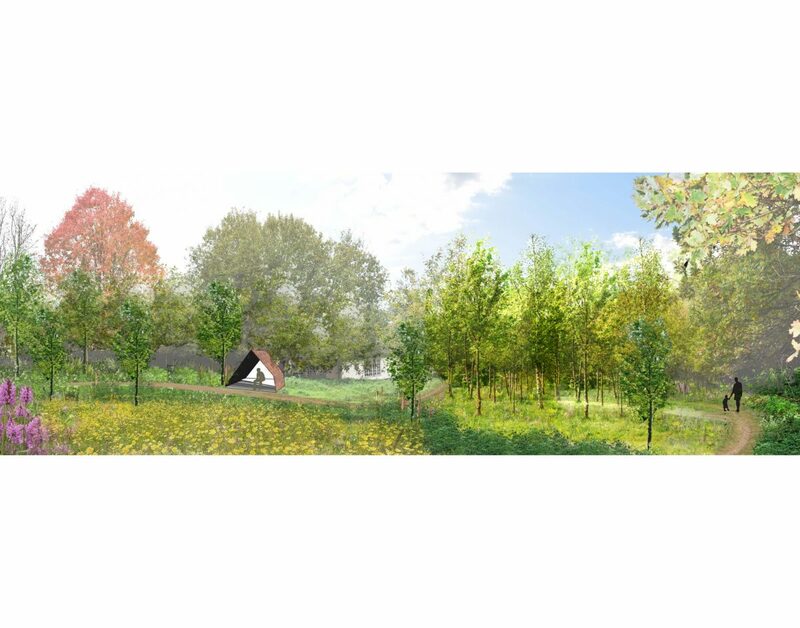 The initial landscape strategy sought to provide improved car parking facilities and circulation within the site connecting a new memorial woodland, wildflower meadow, contemplation shelter and extended graveyard with the existing church grounds. HBA also provided outline costings to assist with the feasibility and phasing of the project. The landscape masterplan has been used to support a successful Sussex Lund grant application and recently an updated scheme has been developed alongside Ecologists and the High Weald AONB unit to support a planning application for the extension of the existing graveyard and creation of a Weald native meadow.